Most people spend an average of 2.5 hours a day reading and replying to work-related emails. Then they check their personal email to handle their own affairs and engage with brands they like. They’re reading lifestyle and current event newsletters, checking their personal finances, and looking for special offers and sales. As a business owner, you need to take full advantage of this habit. Email marketing is making a huge comeback this year, and you have to be using it if you want consumers to be choosing you over your competitors. But, always be sure that you’re not making any marketing mistakes when sending out an email campaign! Distributing bad marketing campaigns to your audience can do more harm to your business than not sending any emails at all. You have to present yourself in the best way possible and avoid letting silly errors slip through the cracks. Here are seven big email marketing mistakes you should look out for. When was the last time you couldn’t wait to open an email because the subject line was so catchy? Did you recently get an email with an emoji in the subject line? Emojis are just one thing savvy marketers are doing to make their messages stand out in a person’s inbox. These familiar icons catch people’s eyes, and more importantly, show off a bit of personality. They’re best used when they relate to the email content, but be careful not to over-do your emoji usage. Also, keep in mind the copy still has to be strong. Using emoji’s can’t carry your subject line if what you’ve written isn’t valuable to your readers. You have to find new ways to convey your message in a short, yet exciting manner. Make sure you’re using a variety of these subject lines in your emails. You shouldn’t be asking a question or using all-cap words every single time you send something to your audience. Don’t forget about custom email previews, either! This is your chance to give a little more insight as to what the email is about. It’s also a way to show how much thought you’ve put into your campaign because URL-heavy previews and those with a lot of code are a big turn off. No matter what your emails-and subject lines-are about, you have to make sure the content provides value to your users. You can’t send out a generic reminder for users to pay their subscription bill or upgrade their services. Rather, you need to connect with them on a much deeper level. Go beyond the products/services you offer and talk about how you aim to improve their lifestyle. This applies to both B2B and B2C markets; people won’t spend money on something unless they feel it’s worth their while. You need to tell them how you plan to make their lives easier/more enjoyable within your email then wrap up with a sales-focused CTA. Not sure how to make your emails about more than just a sale? Take a second to think about the behaviours and desires of people in your target market. Then write copy that relates to the problems your product/service aims to solve. Show them you understand what they need then go into how you’re prepared to offer a solution. Don’t be the company who sends out an all-image email. Don’t make your emails hard to read by using big, bulky paragraphs. Don’t be the person who writes what seems like a never-ending message either. These are all things that can hurt your marketing campaigns. Such mistakes cause disconnection with your users. They make it less enjoyable to read what you have to say, and they may lose your audience’s interest altogether. The better way to format your emails is to stick with short, simple paragraphs. Use bullet points to simplify complex statements and try making some of the type bold to make sure the most important information stands out. Include a few images, but don’t expect these to make up for sub-par copywriting. Most importantly, edit your email campaigns from the user’s perspective. Ask yourself if this message is something you would read from start to finish if you received it in your inbox. This may seem like a small error, but it can take a big toll on the success of your email campaigns. You won’t get the conversions you’re looking for if you haven’t included the opt-in link that you wanted to send users to. Similarly, it’s hard to fully capture a reader’s attention if they don’t have all the information you meant to share. Make sure your images and attachments are loading properly to avoid this issue. To go the extra mile and avoid this email marketing mistake, always check your links. Click on them to make sure they’re leading users to the right place-not to a redirect page or a landing page other than what you meant to share. See if you can format attachments so they load faster or better fit the size of the email. Also, give the entire email a look-over and ask if yourself if you’ve included too many links. It’s better to simplify the content with one or two powerful CTAs rather than asking too much of your audience (and confusing them!). Another way you might be asking too much of your audience is if you’re sending them too many emails. People don’t have the time to read multiple emails a day that are all about a new product or an upcoming event. In fact, sending too many emails may lead to a spike in the number of unsubscriptions you see or a drop in the conversions and click-throughs you normally get. But, you do want to stay relevant in the minds of users. You have to find the sweet spot between sending too many emails and not communicating enough with your audience. Segmentation can help. This allows you to break up your email campaigns based on your primary and secondary markets. It gives you a chance to create more targeted messages rather than sending out one generic mass campaign. There’s no rule that’s set in stone regarding frequency. However, there are a few helpful tips to keep in mind when creating your email campaign calendar. Try to send your emails out at the optimal time of day and avoid sending more than one email out per day. As far as market segmentation goes, the best way to group your emails is to be more detailed about how you view your market. You want your emails to benefit each user no matter where they are in the buying cycle. Take a close look at which email subscribers are new customers who have recently made their first purchase, potential new customers, loyal consumers, and customers who have made a few purchases in the past. Write a unique, targeted email for each group. 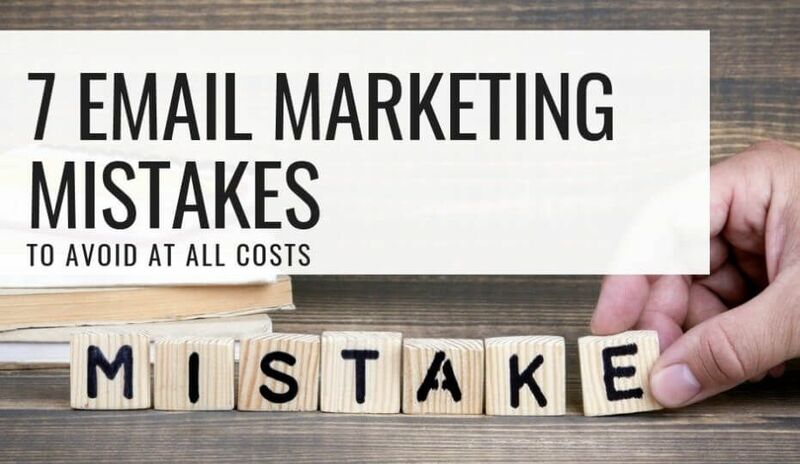 It’s possible to fix all of the email marketing mistakes above and still come up short. You won’t always get your email campaigns just right on the first try-if at all. This means you need to rely on market data and email analytics just as much as you focus on catchy subject lines and targeting your messages. It’s the combination of all these things that will create the success you’re looking for. You put yourself in a better position to succeed when you track the click-throughs and conversions of each campaign. This allows you to get a better grasp of what users respond to and what they’re not interested in. Invest in analytics tools that help you get a closer look at how users engage with your emails. Track your data over time and don’t hesitate to make adjustments to your campaigns according to the numbers/behaviours you see. Here’s one more grave mistake you might be making: trying to do everything yourself! You don’t have to reinvent the wheel when creating and managing email campaigns. You just have to work smarter, not harder. Start using email marketing software rather than handling everything manually. There’s an email marketing tool for just about anything. You don’t want to overwhelm yourself with too many programs, but you do need to find the ones that most benefit you. Maybe you need a program that can help you create better, more targeted segments. 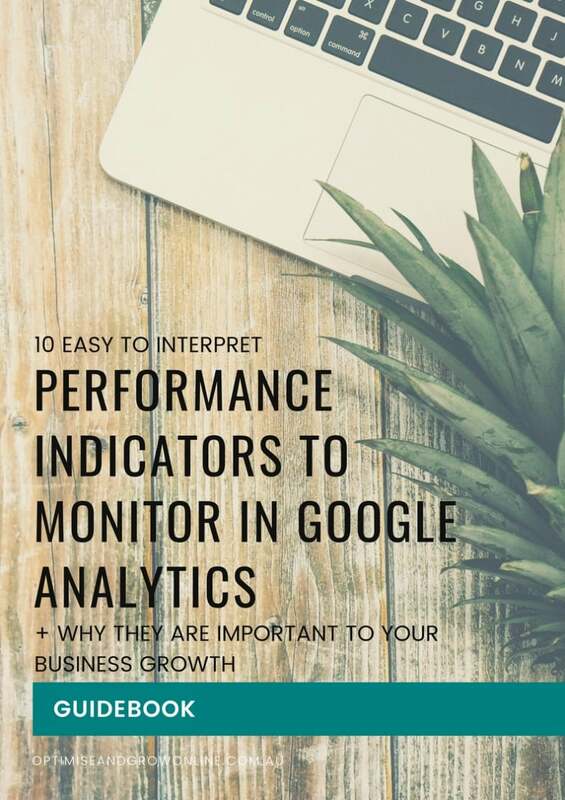 Maybe you want to get more insightful analytics or you want a tool that allows you to build campaigns in a shorter amount of time. At the very least, make sure you have an automated tool to send out your emails and a lead generation tool to help you increase your emails’ reach. It’s time to start thinking smarter about your email marketing campaigns. You can’t afford to lose your audience because of basic marketing mistakes anymore. You have to figure out how to best reach them and guide them through the buying cycle. The sooner you do this, the better the entire success of your business will be. If you’re realising that you’ve already made a lot of the mistakes on this list, don’t worry. Contact us today to discover how we can transform your email marketing performance.